I invite you to gather in community on Thursday, November 2, at 5 p.m. PST for a powerful, nurturing circle to support you to connect withIN – and with heart-centered sisters – and to emerge more grounded, focused, nurtured and INpowered to navigate these turbulent times. This week in the Northern Hemisphere, on October 31/November 1, we celebrate Samhain and enter the beginning of winter or “darker half” of the year, orienting ourselves about halfway between the Autumn Equinox and Winter Solstice. 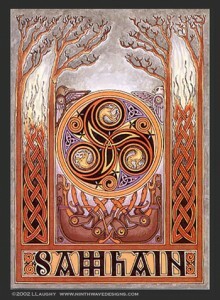 Samhain (or Summer’s End) is the highest holy day of witches. It is also the third and final harvest festival of the year. A time to consider the fruits of our labor, and feel into the future. 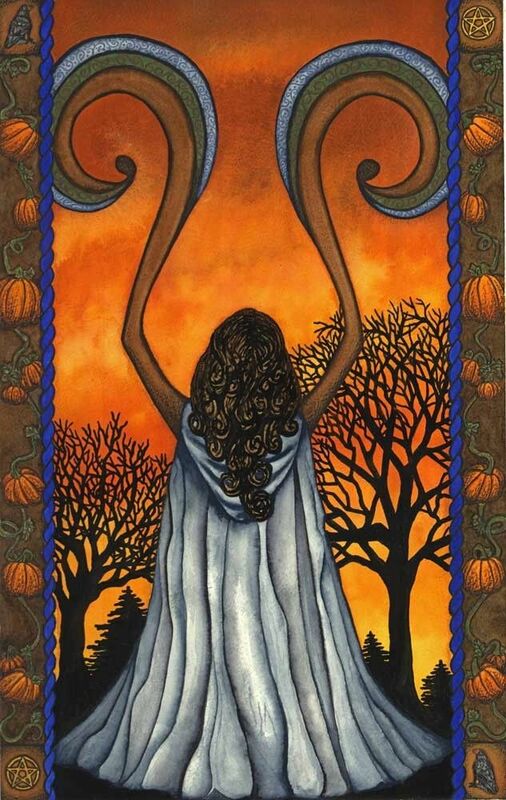 Because Samhain is a time of year for remembering and honoring the dead, I see it as an opportunity to learn from our ancestors and cultivate steadiness for ourselves and, in so doing, act to heal both them and future generations. 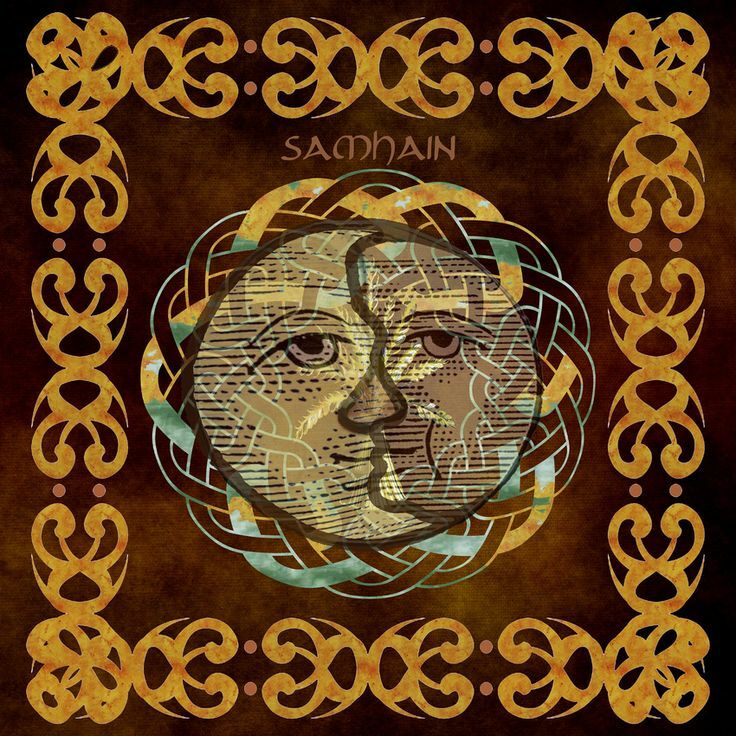 Samhain is a time for personal reflection, and for recognizing our faults and flaws and creating a method for rectifying them. It means recognizing our imperfections, like ALL human beings, and moving forward with these to: Reflect. Release. Receive. What are you harvesting in YOUR life? What do you want to MAKE – inner or outer – in the rest of this year? As we near the end of 2017 (and it’s been a year!) we have the space and choice to reflect on our learning and growth AND ground into and nourish ourselves for Winter and the future. There is power in assessing, accepting, and releasing so that you may allow yourself to move forward to Reflect. Release. Receive. Join me to reflect and center YOUR power withIN to harvest this year and make INpowered choices for the few weeks ahead. This virtual Women’s INpowerment Circle is donation-based in the tradition of a “gift economy”, to support access to all women. A safe, connected space among like-hearted women to share and explore the power of Samhain and what YOU need to move forward into Winter. An opportunity to connect to the energy of this transitional time and its power to create what you want during the rest of this year. Benefit from powerful group coaching support that meets your needs exactly where you are. This Women's INpowerment Circle is offered fully on donation, or “Gift Economy”, influenced by the beautiful Buddhist practice known as dāna (“giving”). Your generosity helps me make this space available and continue to create offerings that are accessible to all. Welcome! I am so excited you're here. As a women's INpowerment life coach, facilitator, and humanitarian aid worker focused on women's protection and empowerment, I KNOW the power of women's community, circling and safe spaces -- and I would love to share this Women's Circle experience with you. 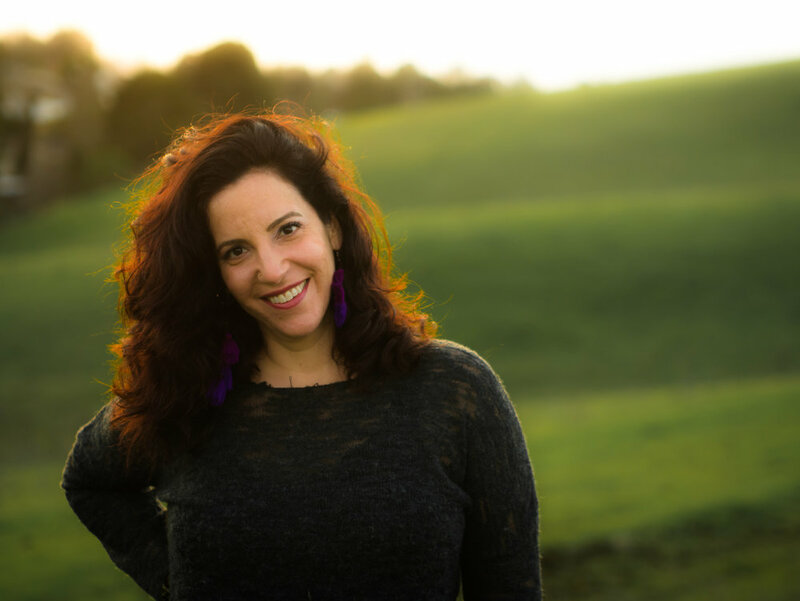 Since the powerful Women's INpowerment Circle in late July, I have created space for myself to journey inward and nurture myself in various ways -- and focus solely on co-creating transformation with my private clients. In the past few weeks, I led a beautiful ceremony for a dear friend who was expecting her first baby, traveled to Brazil to present at a conference on gender-based violence with a group of fierce feminists and am currently exploring new ways of nourishing myself (I've been cooking a LOT more!). We have so much power to support ourselves and one another to create new realities. If you are called to show up for your life powerfully, with intention and awareness, join us for this Circle!